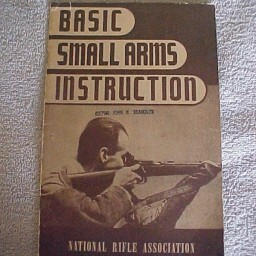 All the talk this week about firearms instruction and my own random love of pretty much all things vintage reading mean that I find myself wanting to share some of these vintage firearms books. All pictures link to the original sales listing in case you decide you’re interested. 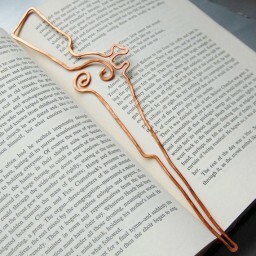 Should you end up purchasing one of these old school paper books, there’s always the copper musket bookmark to keep your place when you need to take a break from reading to hit the range. For what it’s worth, we get nothing from any sales generated from these links. I just honestly think some of this stuff is pretty cool. 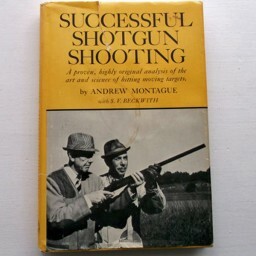 Thankfully, the internet gives me pause to avoid going nuts, but I would probably be impulse buying these books if I came across them in a thrift store or antique book store. Wow, I had forgotten ALL about those! 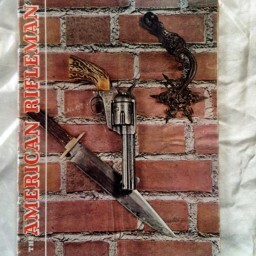 Those old American Rifleman covers (I can still remember those, coming in the mail, though don’t challenge me as to the year) are what strike a nostalgic chord with me. I had several big boxes full of them, but when faced with the daunting task of cleaning out my late parents’ house, I just gave them all to a picker. I loved them, but had to admit I seldom got around to looking at them again, and had no room in my own house. 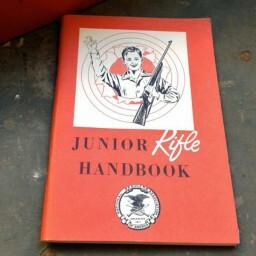 At one time I was friendly with members of one of the generations of NRA Tech Staff, before they lost their jobs in one of those internal political turnovers. 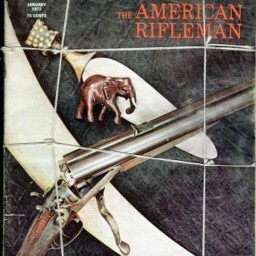 Anyway, one of them told me that there was a constant, running, inside joke where at American Rifleman staff meetings, whoever was running the meeting would ask “Does anyone have any suggestions?”, and someone would always say “Yeah — Why don’t we publish a gun magazine?” That was after the American Rifleman departed from the format represented by those nostalgic covers pictured. 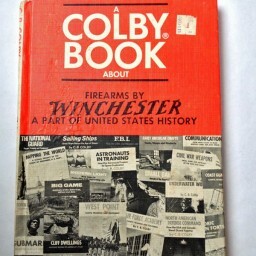 I remember checking that exact Colby book out of the library at my elementary school in the California bay area. I’ll bet they don’t have such things there anymore. Dang, these kinds of threads always send me on nostalgia trips. 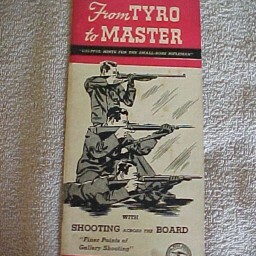 One of my most nostalgic memories is going to the “Youth Room” in our town library, beginning about 60 years ago, before most schools had libraries of their own; every Friday afternoon we got to leave the school and walk to the town library, to draw out new books if we wanted, and return those we’d taken out earlier. I usually finished my weekly selections before the weekend was over. I remember that most of my favorite books for “youths” were already 40 – 60 years old at that time, from the turn of the last century through WWI. Among them were the animal stories by Ernest Thompson Seton, plus “Rolf in the Woods,” and “The Young Forester” by Zane Gray. 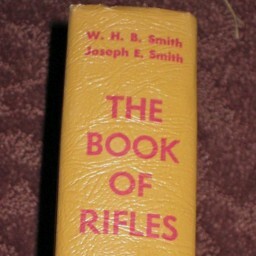 “Rolf” inspired me to many hours trying to bag a muskrat using a long bow, and I “directed” many reenactments of scenes from “The Young Forester” with my friends. All of those books are not to be found in a library, anymore. I can’t help but wonder why. Some of them had some “politically incorrect” content, but no worse than say, “Huckleberry Finn.” The others I suppose are just considered “no longer relevant,” though I would think Seton’s animal stories could still appeal to environmentalists. I’ve gathered up a few of them when I’ve stumbled over them online or at flea markets, and my grandson is just about the age I was when I started reading them. Maybe that’s the thing to do — keep the old stuff as “underground classics” to pass down through the generations, and hope no one throws them out along the way.